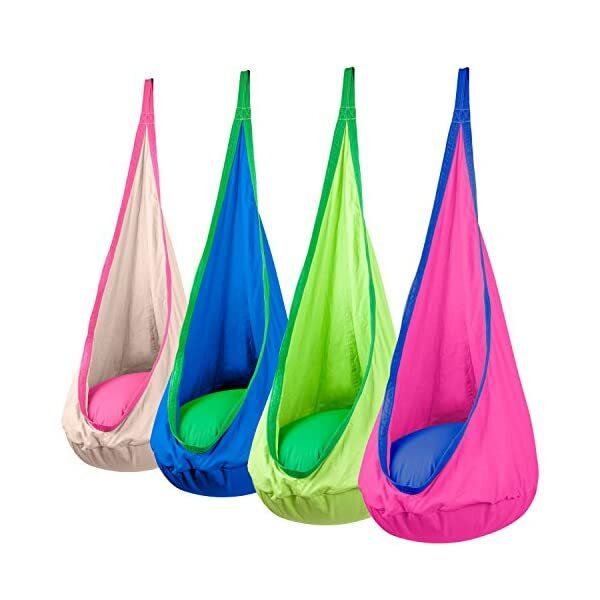 This cute little hammock pod is perfect for a kids bedroom or for the outdoors. 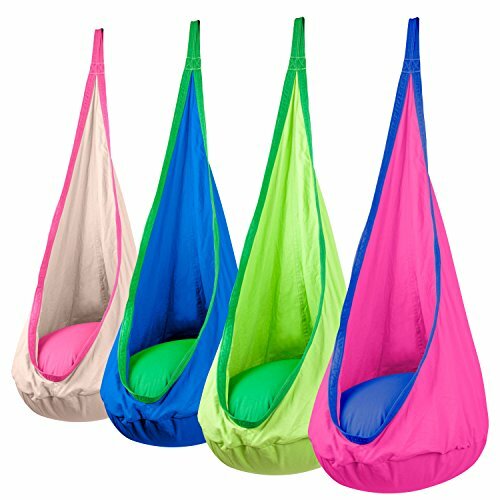 Available in a range of colors you can find a hammock pod that perfectly suits your child’s preference. Providing them with a little space in which they can relax, read or play on their tablet. 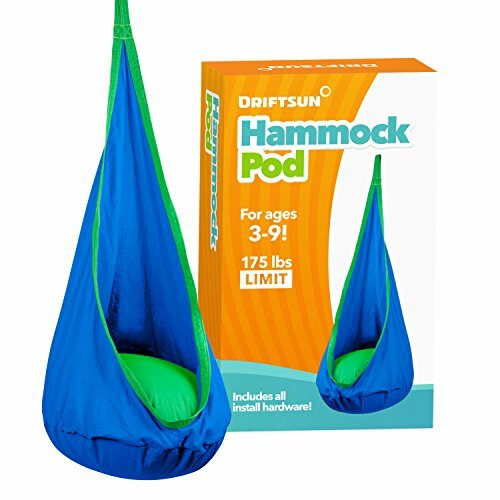 The Driftsun hammock pod is able to hold a single child or a couple of children up to the weight of 176 lbs. 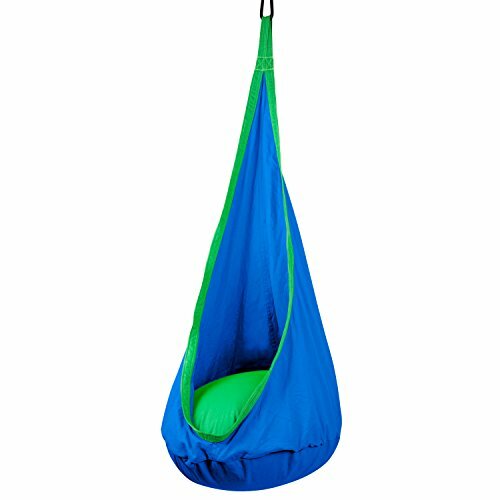 It comes complete with an inflatable cushion to provide comfort for your child and can be attached to an upright hammock stand for easy setup anywhere! 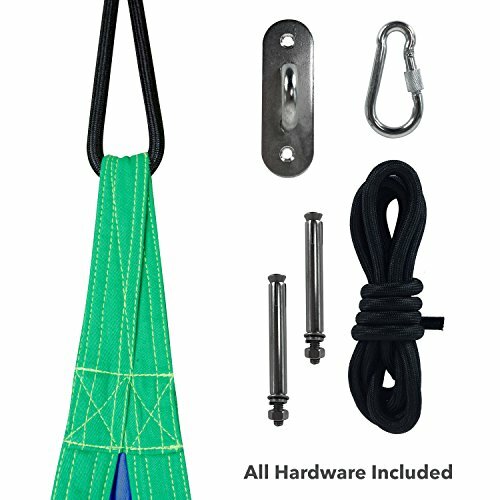 This Driftsun package includes the chair hammock along with an inflatable cushion, cloth case, nylon rope, hook, mounting bracket and bolts. 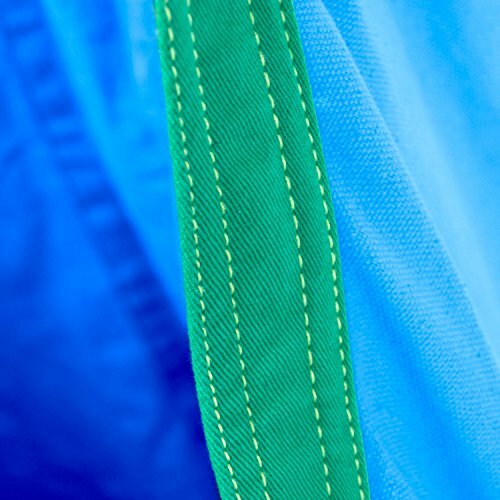 The hammock pod is one of the most popular kids hammock pods available and has lots of very positive reviews. You can take a look at why this hammock pod is so popular in the next tab, where you can read all of the buyer reviews. On visiting the retailer you can choose what color your child would prefer.